For 89 years, La Sportiva Italy has continued its passion for the outdoors by producing innovative products drawn from their eight decades of experience. By most accounts, the TC Pro is the one to beat for the ultimate traditional climbing performance shoe available in the market today. It lives up to its pedigree as proven by positive reviews from previous owners. Tommy Caldwell’s collaborative efforts into the TCs also solidify its status as a star for trad routes. However, It does have a fair share of detractors, and I can attest that it does lack several aspects. But that's expected for a shoe solely designed to conquer edging, smearing and crack climbing obstacles. To put the case to rest, I've set my pair of TC Pros for a weekend excursion on a mountain nearby. If you need help to decide if these shoes are the right ones to buy, I'd highly recommend that you read on. 7 La Sportiva Men's TC Pro Review: Is this the right shoe? Considered by many as the rock star of climbing shoes because of the hype surrounding its release, the La Sportiva TC Pro Climbing Shoe features a solid performance on trad-climbing platforms. Its flat toe provides exceptional edging and smearing capability. The ultra-supportive, semi-stiff sole keeps your feet comfortable even through a hard routine. Such execution puts the TC Pro for the ultimate, single-quiver climbing shoe. It excels as a ‘jack of all trades’ counterpart to shoes offered by competitor brands, but it does fall behind the steep and burly world of high-end sports climbing and bouldering. The TC Pros are well recommended for beginners that want to start with traditional climbing. Its extra layer of protection together with the patented P3 platform makes it one of the most comfortable climbing shoes to wear. I've got a pretty normal foot size and guessing from the La Sportiva TC Pro's form, it's quite comfortable to wear. It caters well to people that have narrow to average foot width, but I doubt it'd have the same feel if you have a wider foot base. On sizing, the shoes have 33 - 46 (half sizes) and I recommend fitting them first because they can be a little bit bigger compared to standard shoes. So if you are size 45 ( US size 11.5), I'd suggest that you go with the 44 to hit the sweet spot between your toes touching the caps while your feet are flat on the insole. The heels are also pretty typical for a La Sportiva footwear. It gives a reasonable fit to a variety of foot sizes, the P3 midsole does wonders in terms of comfort. Your feet will feel amazing compared to standard downturned climbing shoes that are made with a thinner sole for extra sensitivity. The La Sportiva TC Pro Climbing Shoe is designed in collaboration with American rock climbing legend Tommy Caldwell. This means that the La Sportiva TC Pro Climbing shoe will edge and smear accurately with the comfort and precision of a conventional sport-climbing footwear. The TC Pro also shows it's prowess when it comes to crack-specific features, and its added protection makes it an amazing all year trainer. The Vibram XS Edge is an exceptional rubber sole that is often used in performance climbing shoes. It features Vibram’s patented combination of comfort and durability to provide a rock solid base for both beginners and professional climbers. Utilizing the brand's P3 System (Permanent Power Platform), the TC Pro is designed to retain its shape after years of use and abuse. The added midsole also adds comfort for grueling all-day sessions. The TC Pro's stiffness and Vibram XS Edge sole provide climbers with a powerful edging and crack climbing advantage. The P3 system and the Vibram rands deliver great support that even when they are worn in, they still edge well. The extra layers of foam at the ankles and above the toes assists to shield your feet when they're wedged in a crack and iffy situations. The cuffs provide a decent protection against scrapes on your ankle bones while taking on cracks. Versatile Rugged Design- The shoe is designed to provide an amazing all-around performance on traditional climbing routines. Its XS Edge sole alone, known for being extremely durable, will ensure that this pair will last longer than other climbing shoes. Edging - The extra foam padding on the top of the shoe allows extra hold and protection on small footholds, and the Vibram XS Edge provides the shoe with an amazing and powerful grip on different surfaces. Mid-height Cuffs- The excellent addition of the cuffs reduces ankle scratches while you are wedged on a crack. Excellent Heel Fit - The TC Pros slips around your heel with comfort, and a lot less of inflight. Comfortable even in prolonged use - In their quest for the ultimate performance climbing shoes, some people new to the sport might forget one very important feature a shoe should have especially in trad routes - the ability to give you unparalleled all-day comfort. Yes, there are climbing shoes that do well during actual climbing. However, climbers will often find out that they can hardly wait to take them off after a long climb, especially on multi-pitch trad climbs. Thankfully, the TC Pro has no issues in the area and it certainly one of the most comfortable high-performance climbing shoes around. Long Break-in Period - It's a bit stiff and the Vibram rands are not as flexible as they are advertised. Good All-around Climbing Shoes But Performs Behind Specialized Shoes in their respective areas of expertise - The shoe can be described as a jack-of-all-trades when it comes to climbing shoes; it performs well in most climbing situations. 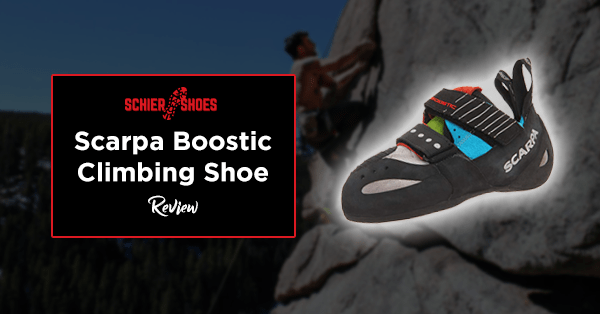 But just like any all-around equipment, this footwear won’t be able to compete with other climbing shoes that are specifically designed to excel in a specific area. For instance, there will always be shoes that perform better when it comes to smearing, especially those models that are specifically made to excel in that climbing technique. Putting them on or taking them off requires more time - Lace-up shoes have their own set of advantages. However, when it comes to taking them off or putting them on, Velcro ones beat them in terms of convenience. "I had a very hard time obtaining climbing shoes that that fit my feet, Although my favorite pair is the Sportiva mythos and these are very similar in shape overall. I purchased the TC Pro on my way to scale cracks in Squamish, B.C. and crushed them in within the 4 days I climbed, they are exceptional for crack climbing as they do shield the ankle as well as provide satisfying support for cracks. A friend of mine, a climber of 15 years, swears by them as well and stocks on many pairs at a time in worry of them being discontinued." La Sportiva Men's TC Pro Review: Is this the right shoe? In summary, the La Sportiva's TC Pro has its strength on traditional climbing. The shoes are super comfortable and offer adequate protection while you are wedged on cracks. The Pro's also offers a solid performance on smearing, edging, and taking on cracks any day at a time. The only downside comes from the fact that the shoes lack the sensitivity of aggressive downturned climbing shoes and it may not be suited for bolt clippers, technical sport-climbing, and bouldering. If you’re earnest about scaling long, hard trad courses, this might be the best shoe for you. There are different cheaper options, but with its overall comfort and performance, it's not hard to get one for yourself.